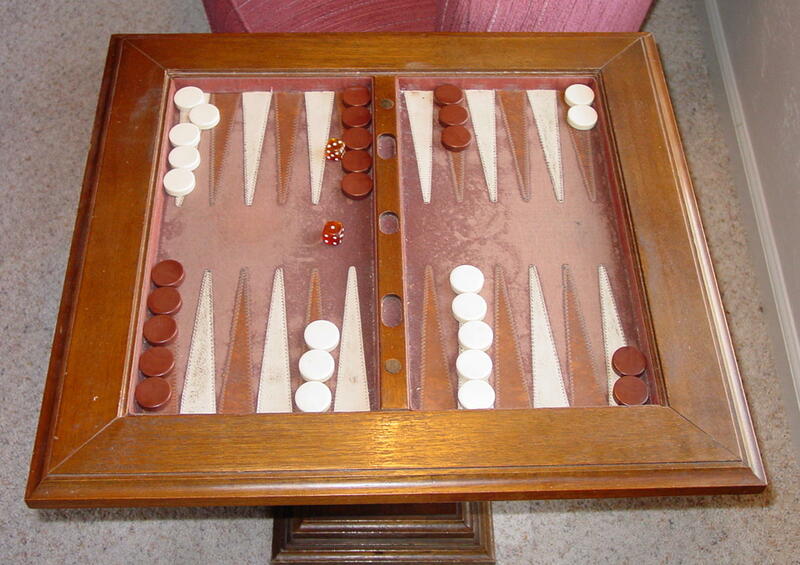 A military couple had traveled all around the world with this backgammon set. When they retired they finally wanted the worn board restored. Simple in some ways, it had to be accurate and smooth. We excavated the old, conserved the old finish (which had layers of shellac applied — possibly marine varnish), and included a rarely used checkerboard. 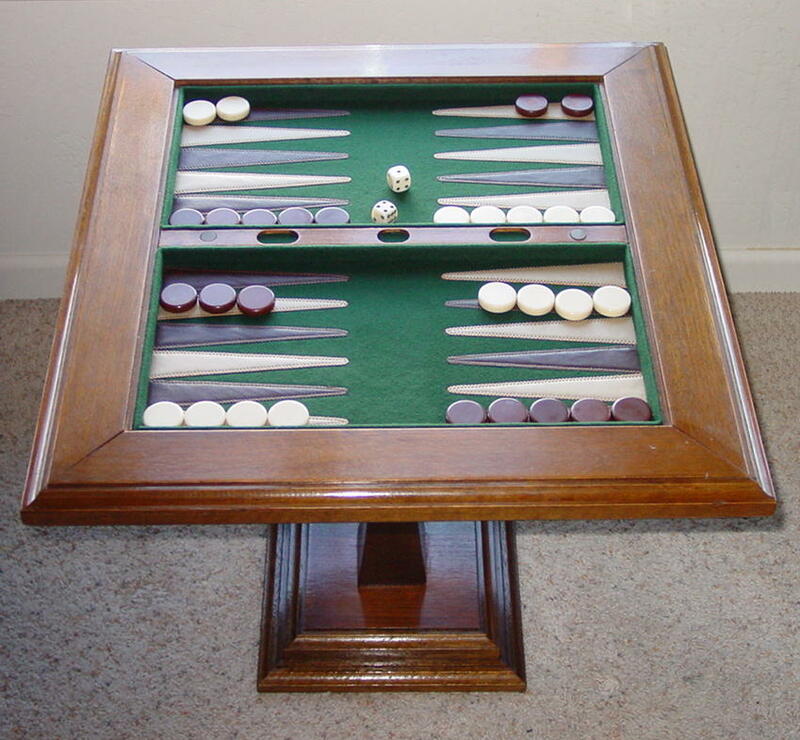 Once the base was complete, Mitchell created the new gaming table top. The set is ready for another 30 years of use! before we had the blog… or items that technically we were not documenting. It took me awhile to get used to a digital camera and so excuse the bad photos! 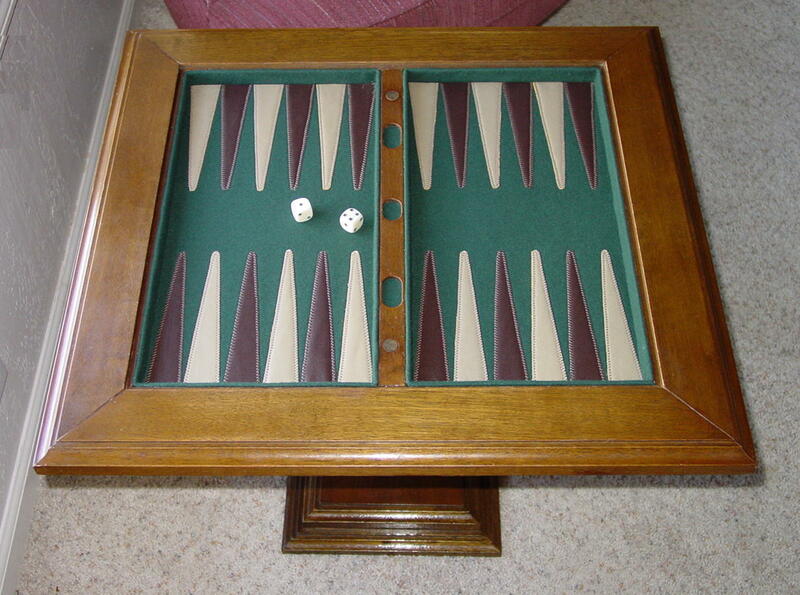 This entry was posted in antiques, chair, conservation techniques, preservation, restoration techniques, upholstery, wooden objects and tagged #backgammon, #furnitureconservation, #gamingtable, #heirloom, #pacificnorthwest, #portlandoregon, #upholsteryconservation, #UpholsteryPortlandOregon, #upholsteryrestoration, antiques, Furniture Conservation, Furniture Restoration, keepsake, leather, legacy, MPF Conservation, Portland, Portland Oregon, reparation, restoration techniques, upholstery. Bookmark the permalink. Thanks, Dan! It was such a pleasure to perform the restoration on this piece. It was filled with positive spirit fr4om their travels and partnership. Funny, those triangles were difficult to execute. 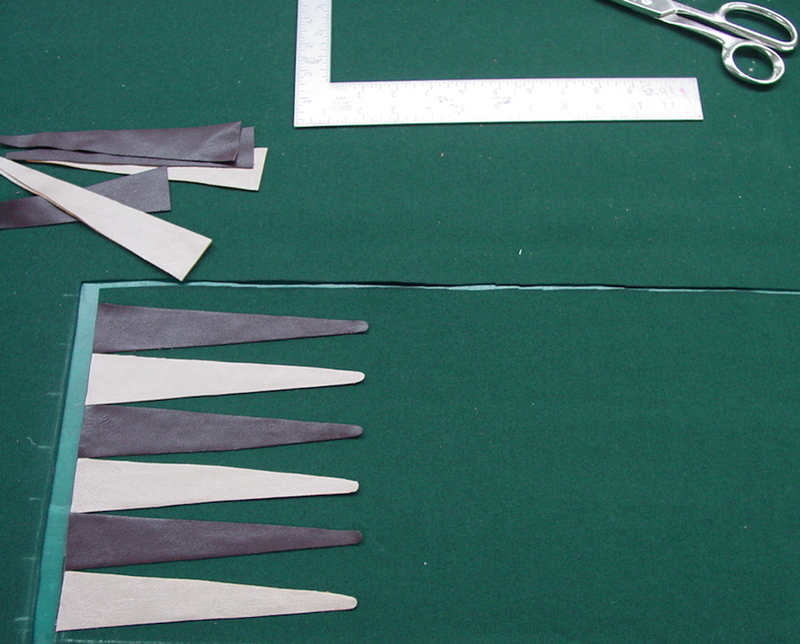 They were made from goat-skin and as my sewing machine pressure foot traveled along the edges, in order to top-stitch the leather to the woolen baize, the triangles kept elongating and distorting. Sheesh! I settled the score however, by placing a thin heat activated scrim between the two mediums then adding a bit of heat and pressure. Worked like a charm! Thanks for you kind words and interest! Never say never… well, rarely say never!